Home » Blog » Comments » Countries » History » Popular Articles » MALTA DIARY: A bit of shaking, rattling and rolling – lest we should ever forget! MALTA DIARY: A bit of shaking, rattling and rolling – lest we should ever forget! 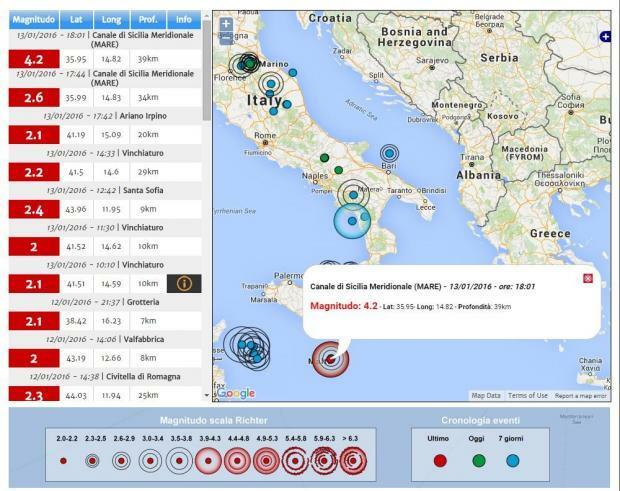 Seismic activity throughout the Mediterranean region. The Maltese archipelago is the result of tectonic activity, earthquakes and volcanic eruptions many moons ago and we occasionally get a shake, rattle and roll – lest we should ever forget! When I was still a boy the popular myth was that Malta stood on three stone pillars; two had already collapsed but the main central pillar was held up by St Paul (Malta’s patron saint) and should he let go – well, that would be that! Frequent evacuation and emergency rescue drills. Naturally I believed this nonsense at the time and spent many moments imagining this Paul of Tarsus standing firm and rigid and keeping the whole show going. The ploy of course had been perpetrated by Church Authorities to keep Maltese faith in check and retain a hold on the people that rebellion of any kind or an excess of sins and vices would result in dire consequences and St Paul would forsake the Maltese people and their islands. 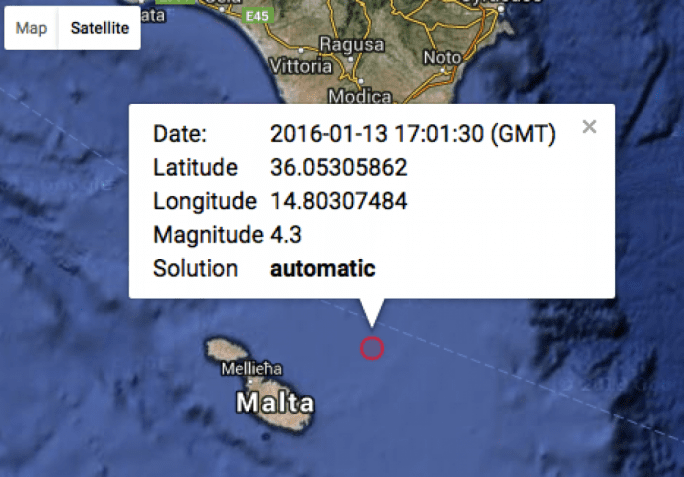 Earthquake tremors felt in Malta on Wednesday, 13th January 2016 at 18.01 (CET). Simultaneously my daughter was on the ‘phone and frantically recounted how she was about to scurry under a table clinging to her three-year-old son, Gabriel who later in his own terminology explained how “the curtain shook” and “things moved”. They live in an apartment five storeys up and naturally the higher up, the more strongly tremors are felt. Recorded at 4.4 on the Richter Scale. 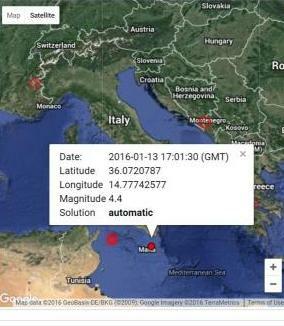 The epicentre was 35 kilometres just north east of Malta between Malta and Sicily in the channel that divides us and registered 4.4 on the Richter Scale. No damages or injuries were reported. 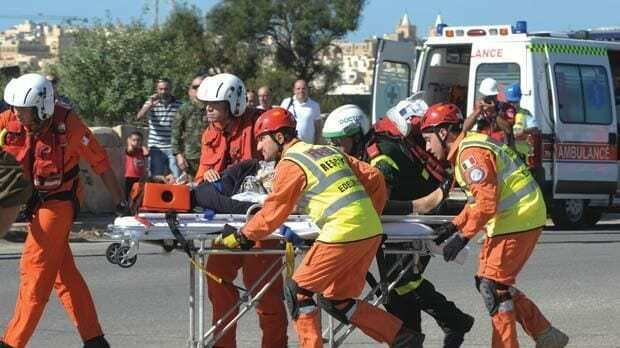 However, there was widespread alarm with the tremors recorded throughout Malta and Gozo. A woman from Hamrun reported seeing her walls “shake” and seeing several ornaments topple and smash. 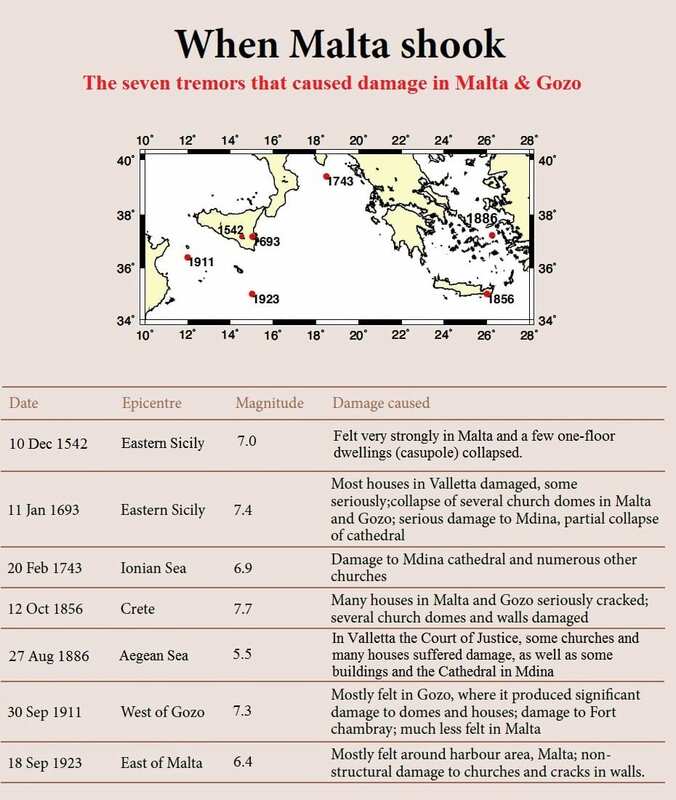 A history of earthquakes in Malta with the record beginning in the 16th Century. Parliament was in session at that time and the Speaker immediately ordered the House be evacuated, an event followed by a barrage of comments in the social media that “finally” something had occurred to wake the Members up! 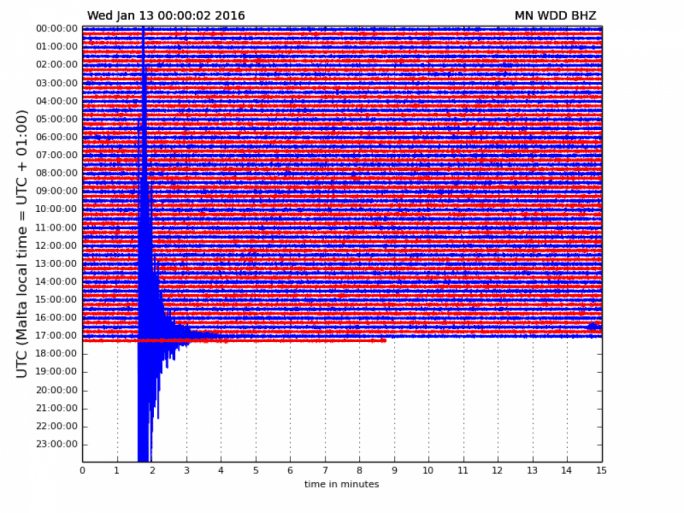 There was a similar tremor in July last year which registered at 3.3 on the Scale. In fact these occur almost annually. Malta has always been strategically placed in the centre of the Mediterranean but it is also strategically placed between two tectonic plates under the crusts of the North African coast and the other beneath the Italian peninsula. Italy, Tunisia, Algeria, Morocco and Egypt have often suffered mass deaths and total destruction as a result of ‘quakes that have been weakly felt around the Maltese Islands. The epicentre of the ‘quake. To the east there is also the threat of Greek ‘quakes that are also frequent. Within my own memory there was substantial rocking and rolling in March of 1972 on one late evening. My wife ‘Tilde, my son Bernard (then aged just over three) and I lived four storeys up in an apartment in Hamrun High Street. We had just returned from a wedding in which I had indulged well over the breathalyser limit (my wife drives, I don’t!). I lay on the bed looking up at the ceiling and suddenly the chandelier began to swing from side to side. “God”, I thought, “I really have gone over the top this time” until my wife burst into the bedroom blurting “it’s an earthquake!” Seconds later we heard screams of panic from below as a number of people had rushed out into the street. “Right – out” said my wife taking charge of the situation. We bundled Bernard in blankets and hot-footed it downstairs and out into a street packed with frightened people and made our way to an open area in Hamrun’s main public square. A couple of hours later we gingerly crept back upstairs and tried to get some sleep but each little vibration sent us into a panic. 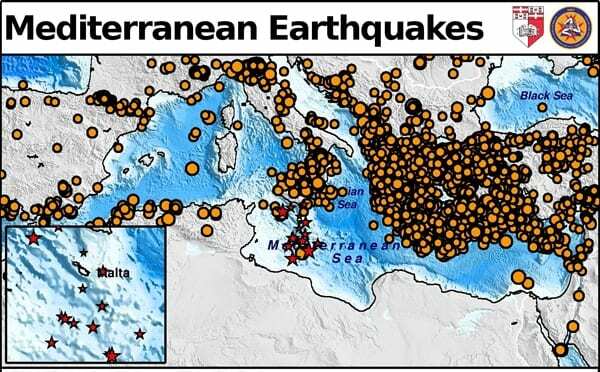 Frequent shakes throughout the Mediterranean region. The rest of the panorama developed Maltese style – that is make the best of the scraps that God throws your way. The next day – of course – nobody went to work having the good excuse of having been awake all night. Early the next morning a procession of vehicles made their way to Ta’ Qali – Malta’s largest open space. Beach tents were unfurled, barbecues laid out, aromas of barbecued chicken, fillet steak and sausages permeated the whole area and a great jolly picnic day was enjoyed by all – on full pay of course! In the evening the Government stepped in and said the alarm was over and everybody must return to work, otherwise have their pay docked. 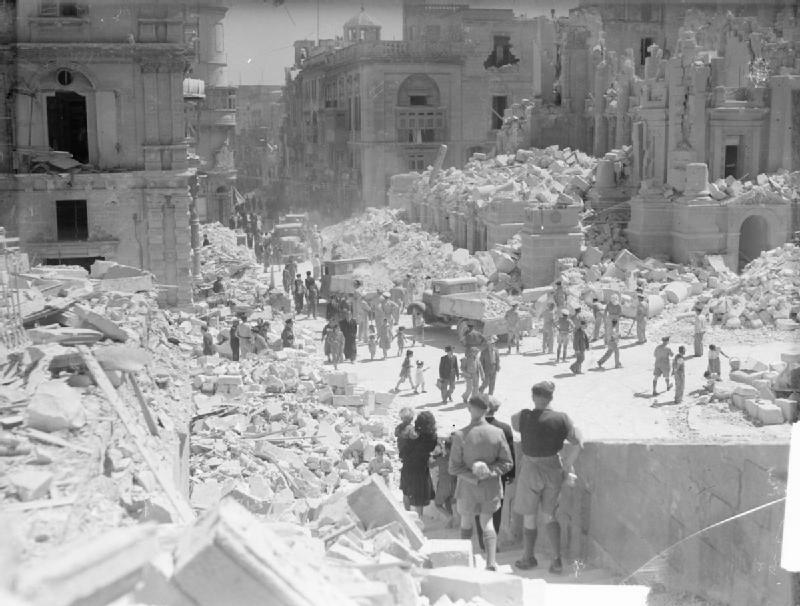 No, not earthquake damage but German WWII bombing on Valletta and the destruction of the beautiful Opera House. Naturally, the religious lay societies had their shout and blamed the earthquake on the Socialist Prime Minister Dom Mintoff on the pretext that his electoral victory in 1971 had occasioned God’s wrath and this was the punishment…. A few days later Mintoff was in London sipping champagne with British Foreign Secretary Lord Carrington to mark the signing of a seven-year agreement leasing Malta out as a British and NATO base with a substantial financial benefit gain for the islands and the eventual departure of the British in 1979 and total independence after 2,000 years of colonialisation. 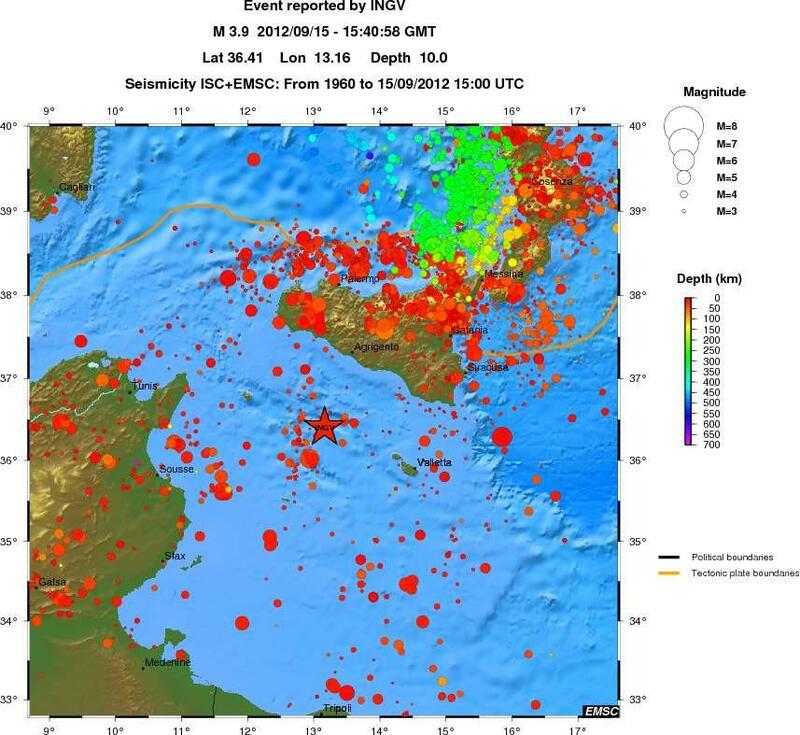 More on Malta’s lengthy earthquake history in a future article.